Size of this preview: 453 × 599 pixels. Other resolutions: 181 × 240 pixels | 363 × 480 pixels | 453 × 600 pixels | 580 × 768 pixels | 774 × 1,024 pixels | 1,512 × 2,000 pixels. This file has been superseded by File:Ernst Ludwig Kirchner, 1913, Street, Berlin, oil on canvas, 120.6 x 91.1 cm, MoMA.jpg. It is recommended to use the other file. Please note that deleting superseded images requires consent. 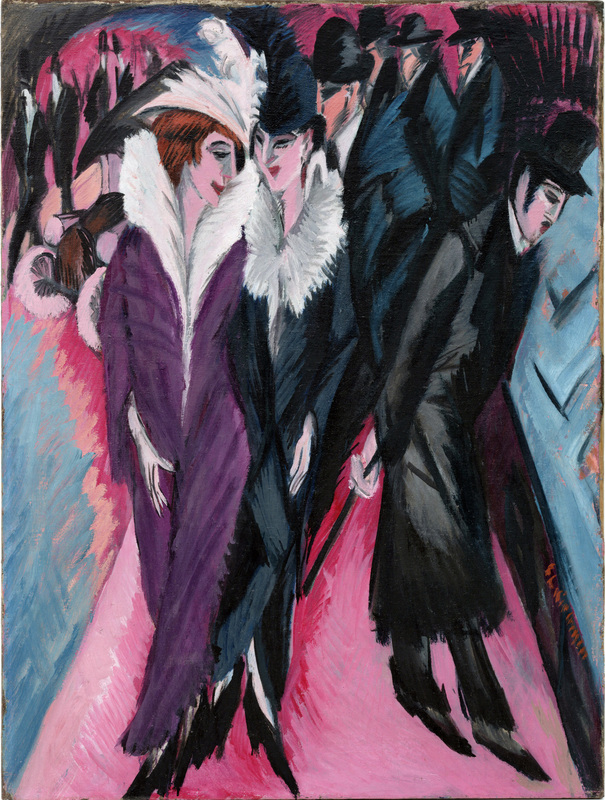 English: Street, Berlin by Ernst Ludwig Kirchner, 1913. Oil on canvas, 120.6 x 91.1 cm. The author died in 1938, so this work is in the public domain in its country of origin and other countries and areas where the copyright term is the author's life plus 80 years or less. Digital Image © MoMA, N.Y. This page was last edited on 27 December 2018, at 19:15.